A Great Design Matters! It is not the price you paid, but the design on the shirt that determines how often it’s worn. We have many different ways you can work with our art department to ensure the artwork perfect for your next sports team order! 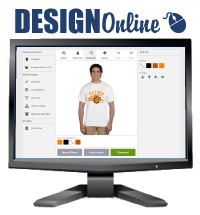 With our powerful online design software, you can make the perfect design yourself. You can start with a blank canvas or use one of the hundreds of design templates. 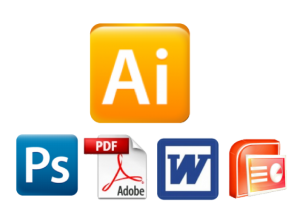 Add your text, change your colors, add in mascot clip-art or even upload your own logo – it’s very simple to navigate. Design away and when you are finished, you will be able to get a price quote and start your order. 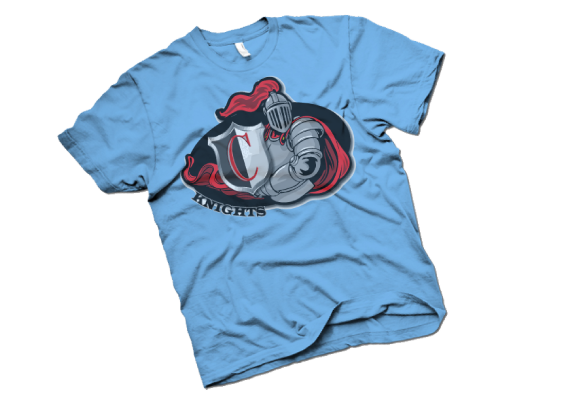 We primarily use Adobe Illustrator to make designs PRODUCTION READY for screen printing. If sending us Illustrator artwork, please make sure the fonts are converted to outlines and outside images are embedded in the file. 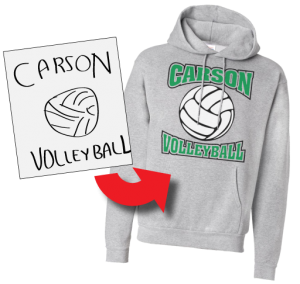 Just bring in an old tee or sweatshirt and we can copy it, or just take the design concept and change it to work great for your job. Please wash it first, thanks! We can accept anything from a quick stick figure sketch on a cocktail napkin, to a detailed pen and ink drawing, we can turn your sketch into a great design. FYI- Your first half hour of art time is free, then any additional time needed will incur a design fee.